TUESDAY, Jan. 10, 2017 (HealthDay News) -- Rude parents can rattle medical staff enough to compromise the quality of care their critically ill child receives, a new study suggests. Medical teams in a neonatal intensive care unit made worse decisions during simulated emergency scenarios if they had been treated rudely by an actress playing the role of an angry family member, the researchers found. Exposure to rudeness helped explain about 40 percent of the variance in good medical decision-making between different teams in the study, said co-author Amir Erez. He is a professor with the University of Florida Warrington College of Business. "There is a lot of concern about medical errors, but the medical field is not paying attention at all to the effect that social interactions can have on performance," Erez said. "They need to pay attention to this, because this could potentially save lives." But, the researchers also found that doctors and nurses could "inoculate" themselves against potential rudeness by taking part in computer training that decreased their emotional sensitivity, Erez said. In the study, four medical teams at an Israeli teaching hospital had to perform a full day's worth of five emergency scenarios. Three of the teams started their day confronted by a "mother" who accused them of misdiagnosing her child. The fourth team served as a "control" group, and was not exposed to rudeness. The actress told the teams, "I knew we should have gone to a better hospital where they don't practice Third World medicine!" and threatened to move the child to another hospital. One team received no preparation for this encounter. But, the second team took part in a 20-minute computer game beforehand that exposed them to angry and happy faces, providing feedback that made them less sensitive to hostile emotions. The members of the third team were asked to write a narrative about the rude event after it had occurred, to possibly diminish any lasting effect it might have on them. Earlier studies have shown that rudeness from an authority figure can affect a medical team's performance, and this study revealed that rudeness from a parent can also cause doctors and nurses to make poor decisions, Erez said. However, the computerized training beforehand erased this effect, by subconsciously raising the team's tolerance for negative emotions, he added. "When we raised the threshold of people's sensitivity to anger, they didn't perform less well than the control group," Erez said. Writing a narrative about the rude event had no benefit on performance, possibly because the exercise affected participants on a conscious rather than subconscious level, Erez suggested. The study was published online Jan. 10 in the journal Pediatrics. These findings show that doctors and nurses are human beings vulnerable to the effects of harsh emotions, said Dr. Brian Alverson, chairman of the American Academy of Pediatrics' section on hospital medicine. "The reality is when we as humans are emotional, logical cognitive thought is a lot more difficult," said Alverson, an associate professor of pediatrics at Brown University in Providence, R.I. "When you're being emotionally attacked, it's harder to sit there and crunch the numbers quick." 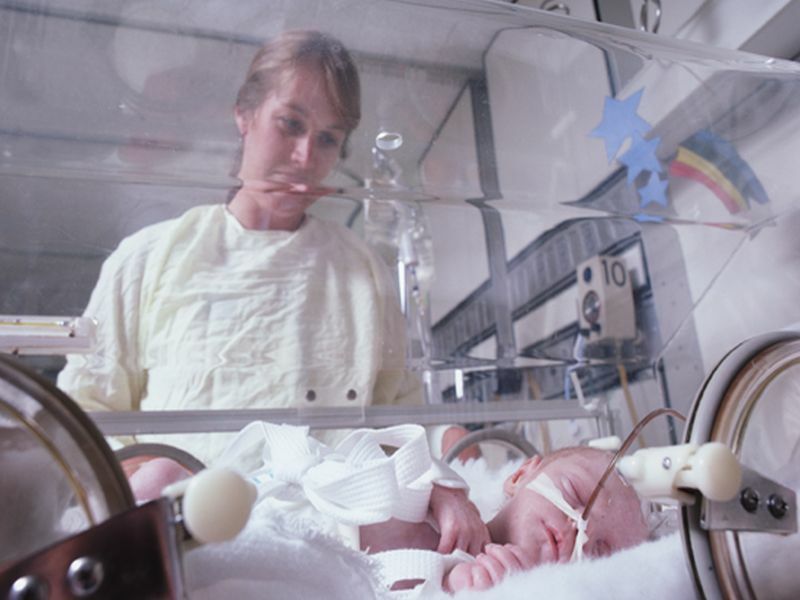 Dr. Jessica Madden, a neonatologist with the Cleveland Clinic, added that the problem is made worse by the fact that intensive care unit teams often work in high-stress environments with colleagues they barely know. "We're continually working with teams who come together who really haven't worked together before," Madden said of neonatal intensive care units. "They can literally be meeting for the first time to take care of a sick baby." Training currently focuses on communication within the newly formed team, "but it doesn't factor in that with the patient-centered care model, we do have the parents with us," Madden said. "That's another layer of stress and worry that's going on as we try to focus." However, Alverson is concerned that extrapolating the study findings -- for example, by applying them to other units not faced with split-second life-and-death decisions -- could lead doctors and administrators to shrug off real and lasting problems in each hospital's system. "When families come in and act rude, the majority of the time it's because of something we've done. [For example,] we left them five hours in an ER waiting room without talking to them," Alverson said. "It's an opportunity lost where we could be looking at ourselves and asking how we can conduct our practice so people are happier."